Cabarete is a beautiful beach village well known for its worldwide competition of water sports like surfing, windsurfing, kite surfing and unforgettable beach sun bathing. . It is located on the Northern Coast of the Dominican Republic only at 20 minutes from the International Airport of Puerto Plata. What's more beautiful than the hot weather, sandy beaches, gourmet restaurants, night life to enjoy your holiday? Take a good look at the nice properties; condominium and apartment for rent on my site for you. 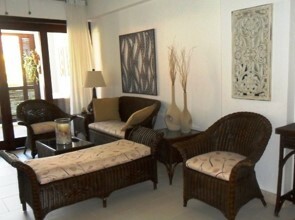 Luxurious penthouse (198 sqm) on the 3rd floor, tastefully decorated. Large living room with Plasma TV and wireless internet. Fully equipped kitchen combined with a dining room. Bedrooms with private bathroom and A / C in each room. Toilet for visitors. Master bedroom on the top floor with cedar walk-in and private deck with splendid views of mountain , pool and beach. Laundry room with washer and dryer. 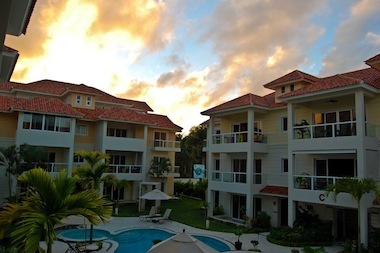 Secure residence located less than 5 minutes from the center of Cabarete. Contact Us for pricing information. Remember that price varies based on the duration of your stay. Luxurious 2 bedroom apartment with A / C and 2 bathrooms. Comfortable and elegant living room with TV room, terrace. Fully equipped kitchen. Backyard with common area. BBQ, large pool and garden. Apartment (108 sqm) located on the 3rd floor. 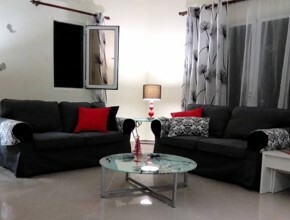 Spacious living room with luxurious furnishings, plasma screen TV / DVD / Radio, wireless internet. Fully equipped kitchen. 2 bedrooms with private bathroom and A / C. Laundry room with washer and dryer. Balcony overlooking pool and garden. 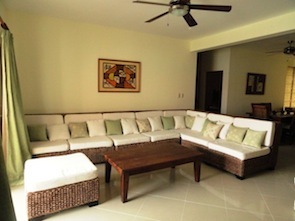 Secure residence located less than 5 minutes from the center of Cabarete. Apartment located on the 3rd floor of 1 bedroom with A / C and 1 bathroom with washer. Living room with sofa bed for visitors and Plasma TV, wireless internet. Well equipped kitchen and dining room. Balcony overlooking the beautiful lagoon. Swimming pool. 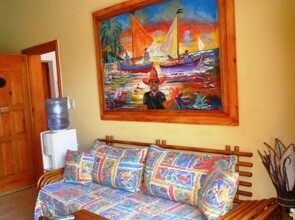 Located in a secure complex in the heart of Cabarete.